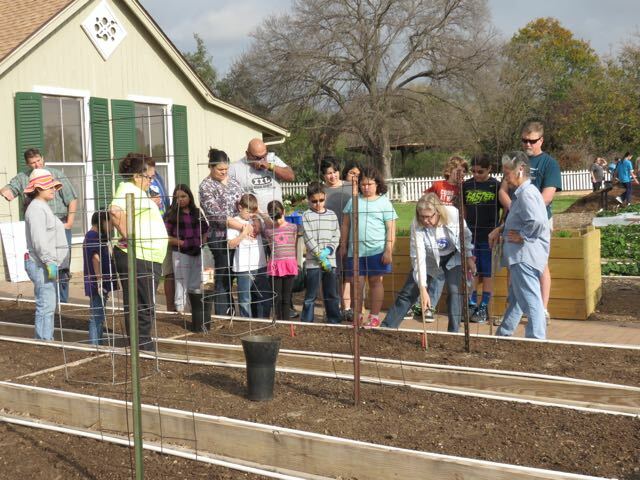 This past Saturday was Week 1 of the Spring session of the Children’s Vegetable Garden (CVG) at the San Antonio Botanical Garden. The program, which runs until mid June, is one of the oldest teaching gardens in the country. Children are assigned a raised bed in which they will be taught to plant, maintain, and harvest a variety of vegetables. Nora Richards and I are Master Gardeners and mentors in the CVG. Each week, we will chat with you about what is happening in the garden, which may give you ideas for your own garden. 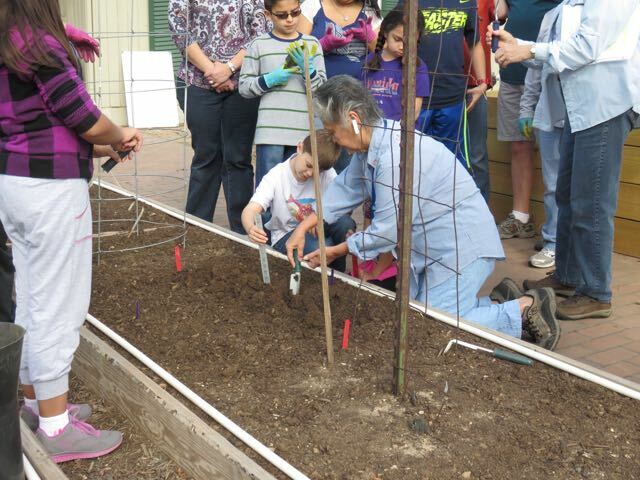 This past Saturday, the new crop of children net their mentoring teams composed of Master Gardeners and Botanical Garden Volunteers. We started by hand weeding the few weeds that were present, and fertilized the soil. Fertilizer—even for those of you with new vegetable beds and new soils—is critical to a successful vegetable garden…veggies are heavy feeders. Seed potatoes (white ‘Kennebec’ and red ‘ La Soda’ Irish potatoes). Planting tip: remember to plant them at the right depth…we planted ours in 4” deep trenches, and used a ruler to check the depth.) A dusting of rock phosphate was added to each trench before the potatoes were planted. Be sure to leave enough room for the cabbage head to form. Just as with all plants, the labels that came with your transplants will tell you how far apart to space them. Measuring to check the depth of a potato trench. We watered after each planting. As well as getting the transplant a drink it needs, it helps settle the soil around the plant. One last planting tip…the beds at the CVG are not tilled each season. Once established and properly amended (we’ll discuss that more at the end of the season), the soil will stay easy to dig. Tilling will uncover weed seeds that were previously too deep to germinate, resulting in more weeding for you. So cut back on that tilling and reduce your weeding. 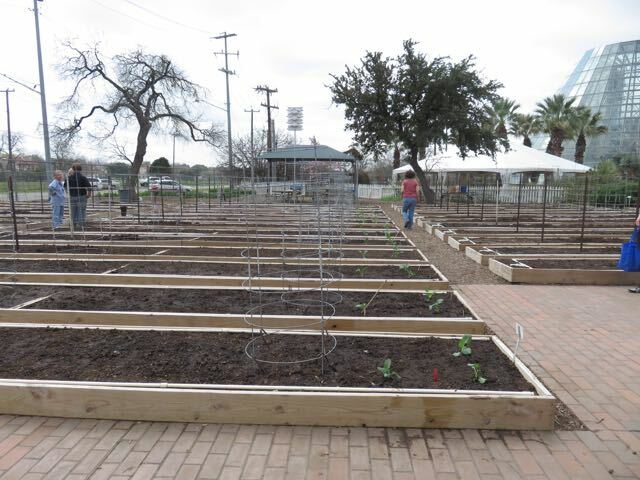 Hello Everyone, We are back online with the Bexar County Youth Gardens Blog! Coming soon….. Updates form the Children’s Vegetable Garden!